Sombra Infinite Invisibility?! New Buffs and Nerfs on PTR!! - miso! Sombra Infinite Invisibility?! New Buffs and Nerfs on PTR!! With all the excitement surrounding Hammond in the new PTR patch, you may have missed a few key nerfs and buffs that also dropped. Here’s a breakdown of all the new changes coming soon to a game near you! 2nd to Hammond’s reveal, one of the most important things to hit the PTR. Not only does Sombra invisibility last infinitely, but so does her translocator. Now instead of it functioning on a 14 second time limit, the translocator will remain until used or destroyed by the enemy team (now has 5 health). However, Sombra mains shouldn’t celebrate too much. No longer will Sombra be able to contest an objective while invisible. The range of detection has also been expanded from 2 meters to 4. Being the primary Pharah counters in the game, this buff was a long time coming. Both received buffs to their minimum damage at max range (basically the amount of damage from the weapon at the farthest distance it can reach). 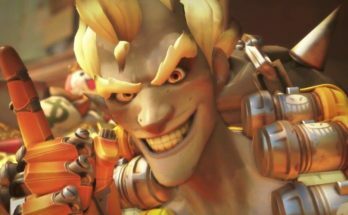 Known as “damage fallout” , both McCree and Soldier saw an increase in damage from 30% to 50%. Not surprising that Hanzo’s storm arrow’s duration is being reduced from 6 seconds to 5. Or that the cooldown has been increased from 8 to 10 seconds. However, what was surprising is that Widowmaker’s short-range fire was nerfed. The damage fallout was reduced by 50%. Surprise Mei and Bastion Buffs!! Unexpected, Mei’s damage fallout received a major buff, increasing all the way to 100%. Meanwhile, both Bastion’s Sentry and Configuration modes recieved a damage fallout buff from 30% to 50%. 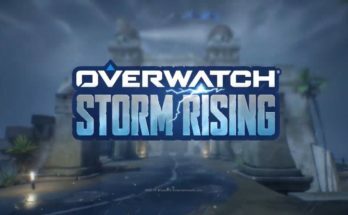 Want to keep up to date on all things Overwatch?? Got opinions about the upcoming changes?? Share with us your thoughts in the comments below, and subscribe to us on Patreon. Also, be sure to grab Sombra’s achievements while you can in our quick guide to unlocking pixel sprays!! 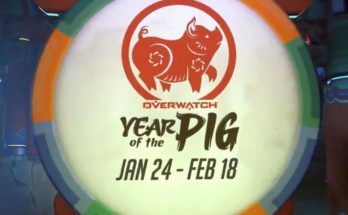 Lunar New Year 2k19: Orisa Gets New Legendary?! Previous Article Jump Force E3 Showcase: the Anime Fighter of Your Dreams? Red is a senior correspondent for Miso.moe. A freelance writer and artist, Red joined the team in October 2017. An avid gamer, Red has competed in Overwatch Tespa tournaments and enjoys and reports on a variety of Esports and recreational based games in addition to anime.